Want to call us? Click here to schedule a conference call or to order technical support. 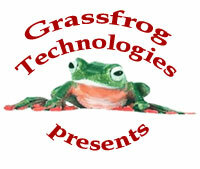 copyright © 2005-2018 Grassfrog Technologies LLC. All rights reserved.